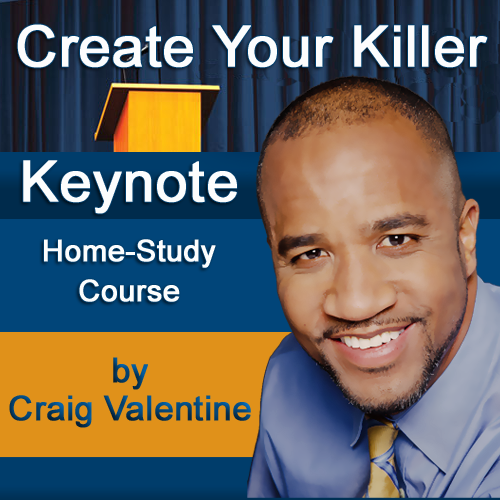 Get All 8 of Craig's Home-Study Courses (plus ongoing monthly instruction) for one small investment. If you want to be a speaker in-demand who can create superb speeches on-demand, grab hold of these secrets and never let them go. If you’re familiar with the original 52SpeakingTips.com, you know how valuable that year’s worth of content is. However, this new program is “Half as long and twice as strong.” That’s right, you get all 50 Speaking Secrets over a period of just 25 weeks and this time they’re videos! Click here for instant access. 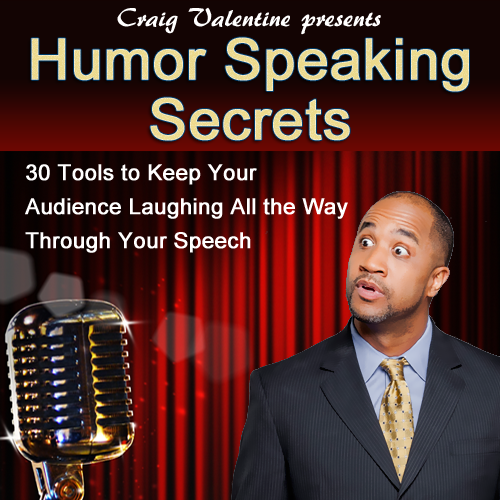 33 Tools to Keep Your Audience Laughing All The Way Through Your Speech. People ask, “But Craig, what if I’m not a funny person?” I’ll answer your question with a question. “Was anybody born telling jokes?” Of course not. Most babies were born crying, not laughing. That means they learned it. You can too. 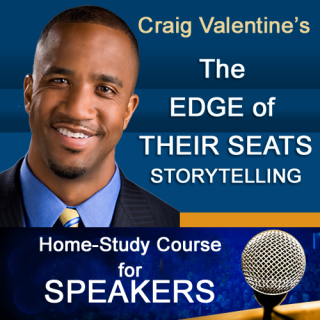 The Edge of Their Seats Storytelling Home-Study Course for Speakers! 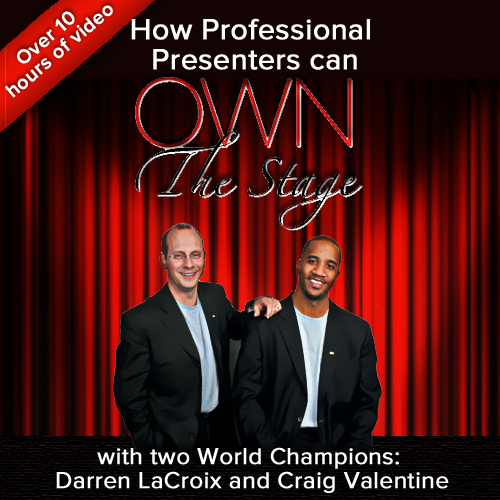 World Champions Craig Valentine and Darren LaCroix have created the of the coaching program of the millennium. 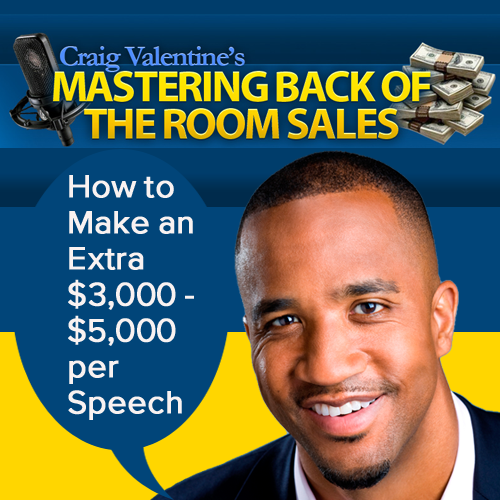 Pick up more than 49 tools to become the best speaker in your neck of the woods! 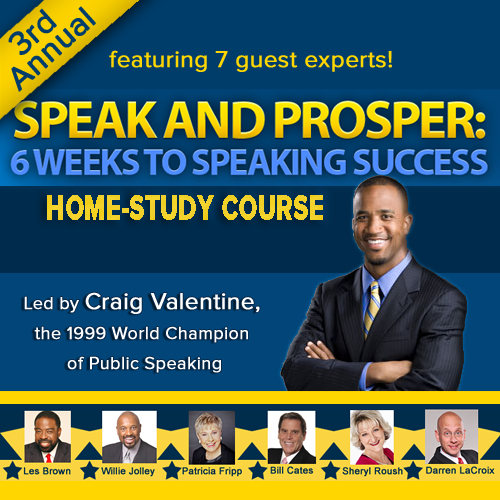 Change your speaking life overnight. 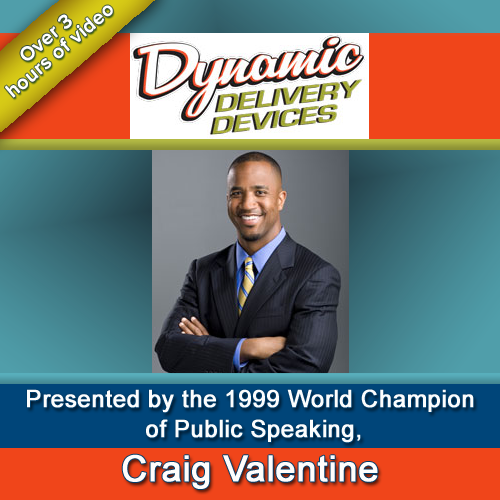 Don’t just give a speech; create an unforgettable experience! If You Could Have a Surefire Way to Hook Your Audience for Your Entire Speech, Would You Want it? How about 40 Surefire Ways? Would you like to become the speaker others sign up and line up to see? Then you can’t only master parts of public speaking. You must master the entire art. When you make up your mind to master your craft, there’s no stopping you. 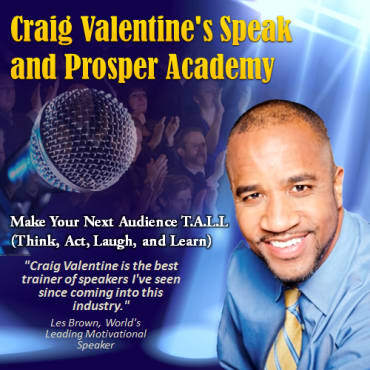 The “live” Speak and Prosper Course (featuring Craig Valentine along with 7 guest experts including Les Brown, Willie Jolley, Patricia Fripp, Bill Cates, Sheryl Roush, Darren LaCroix, and Tina Cook) was recorded from December 5th 2013 to January 9th 2014 and participants are already getting remarkable results with their speeches. You can access the entire course (more than 11 1/2 hours of stellar content and Action Guides) instantly. Don’t wait another year. Act now and receive 50% off. Offered once a year. Only 25 spots available. We have sold out for the last 8 years so get your seat now. Do You Want to Create a Profitable and Reliable New Income Stream in Today’s Tough Economy? 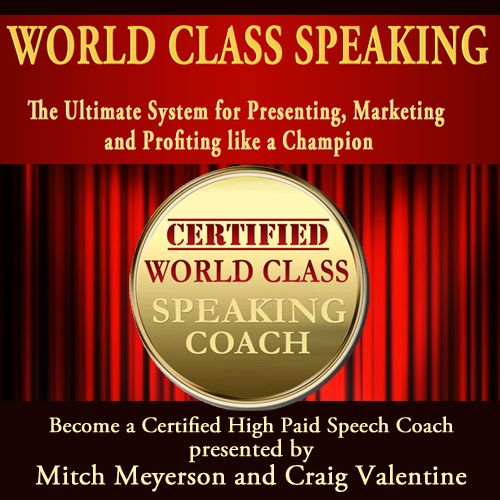 Would You Like to Become a Certified High Paid Speech Coach in Demand?